This article was also published in Visual.ly. Visualization is hot right now; all of a sudden there are dozens of companies and products that want to help you visually analyze your data, build your own visualizations, and visually display interesting data sets of all kinds. 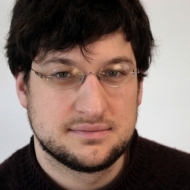 So, why is visualization interesting? Why is it desirable? And most importantly, why is it useful? To answer these questions, we need to go all the way back to biology. The answer is, fundamentally, our visual system is extremely well built for visual analysis. There’s a huge amount of data coming into your brain through your eyes; the optic nerve is a very big pipe, and it sends data to your brain very quickly (one study estimates the transmission speed of the optic nerve at around 9Mb/sec). Once that data arrives at the brain it’s rapidly processed by sophisticated software that’s extremely good at tasks such as edge detection, shape recognition, and pattern matching. Let’s look at the classic instructive example, Anscombe’s Quartet, devised by statistician Francis Anscombe to demonstrate this very issue. 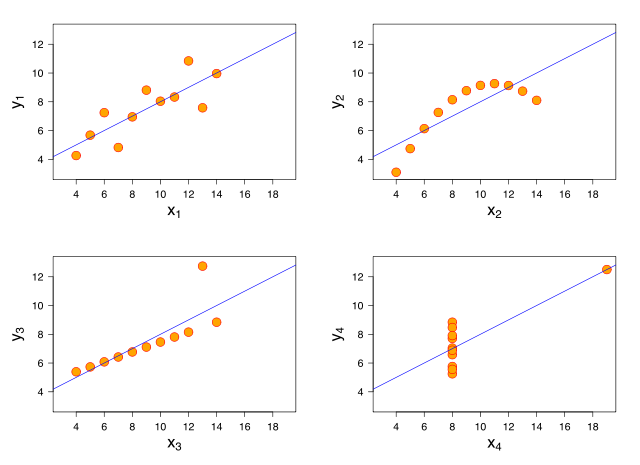 The four following data sets share many characteristics: mean, variance, correlation, and regression. One of the most important benefits of visualization is that it allows us access to huge amounts of data in ways that would not be otherwise possible. There are thousands of examples of visualizations of big data, from fun, to current and historic, to financial and mortal. Finally, and perhaps most importantly, visualizations give us access to actionable insight. It’s not until we have access to the knowledge within the data that we can actually act on it. Consider situations where pricing changes over time, such as real estate or used cars. 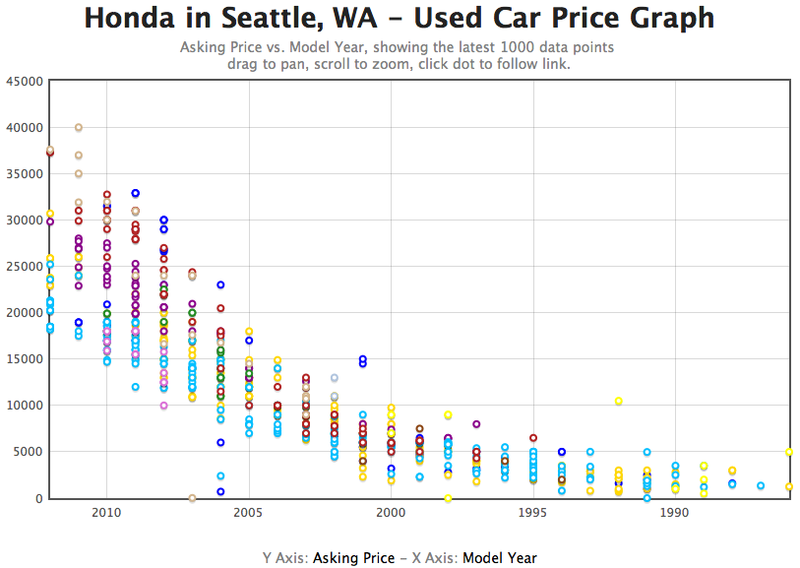 With visualizations, we can quickly understand if we should rent or buy, or if that used car is a good deal. Without that insight, we’re effectively lost, and the odds of us making a good decision are considerably reduced. So there it is. We’re wired for visualization, it allows access to challenging data sets, it allows exploration, it can be fun, and provides useful information in an efficient way. That’s why visualization is hot right now, and why this is just the beginning. Published here on January 23, 2012.